We warmly invite you to join us for our Technical Talk by Mr. Raymond Tay on the 16th of August 2018 (Thursday). 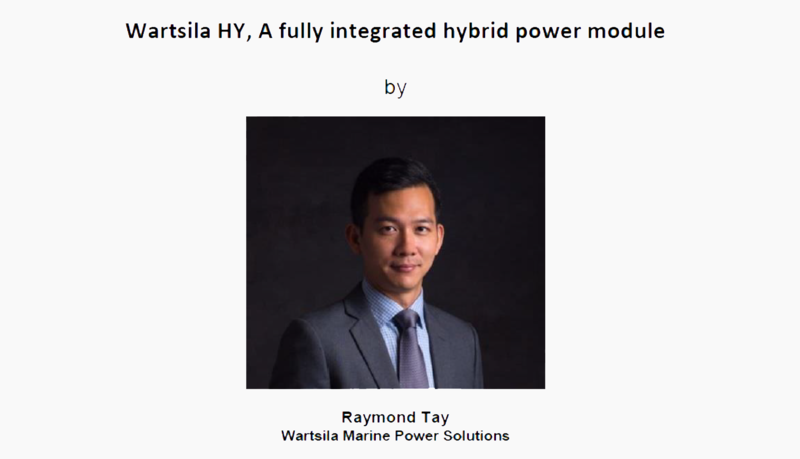 Mr. Tay will be speaking on the topic of “Wartsila HY, a Fully Integrated Hybrid Power Module” (abstract attached). To register your attendance, please click HERE! Click here for the abstract of the technical talk.